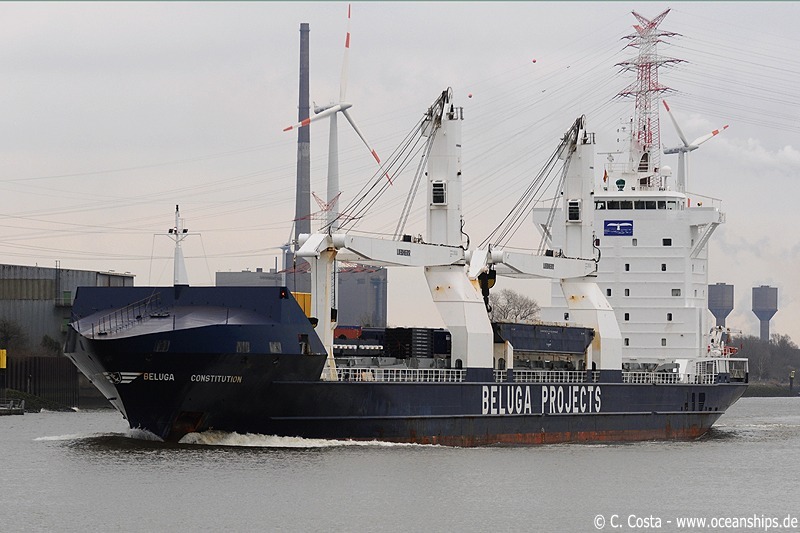 Heavy Load vessel Beluga Constitution is leaving Bremen on December 27th, 2009. 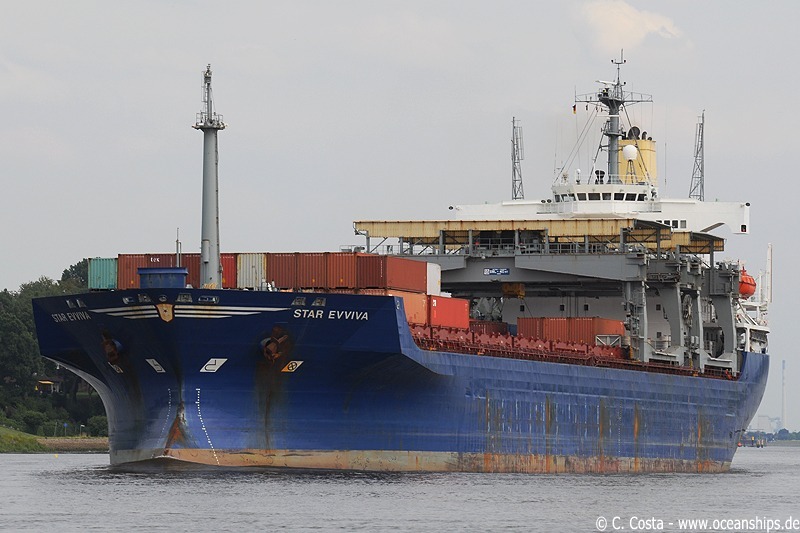 Multipurpose vessel Star Evviva is passing Bremen-Farge on July 21st, 2009. 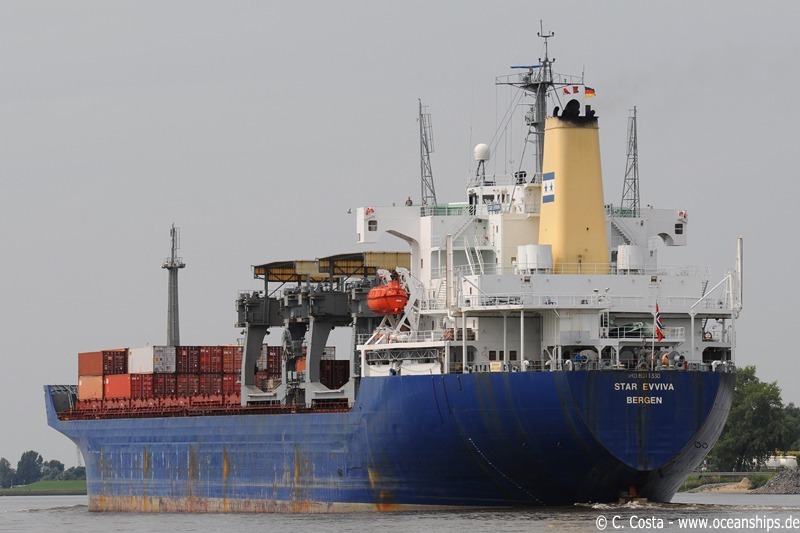 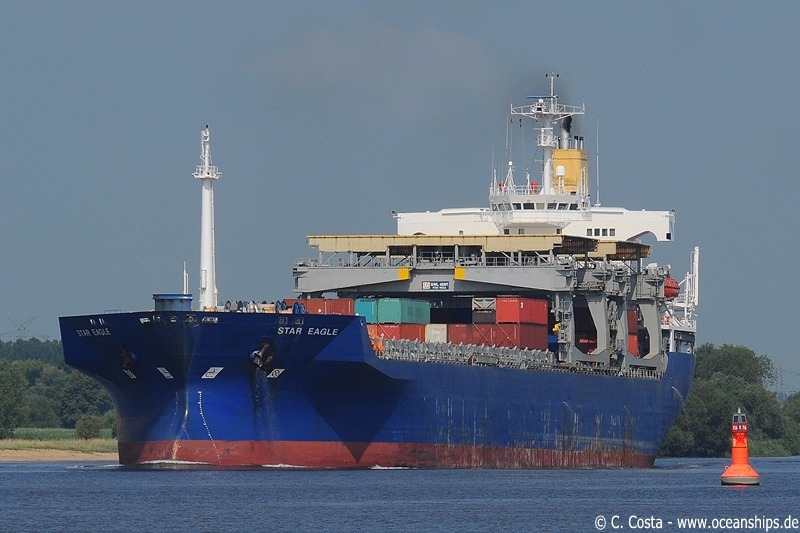 Multipurpose vessel Star Eagle is passing Bremen-Farge on July 2nd, 2009. 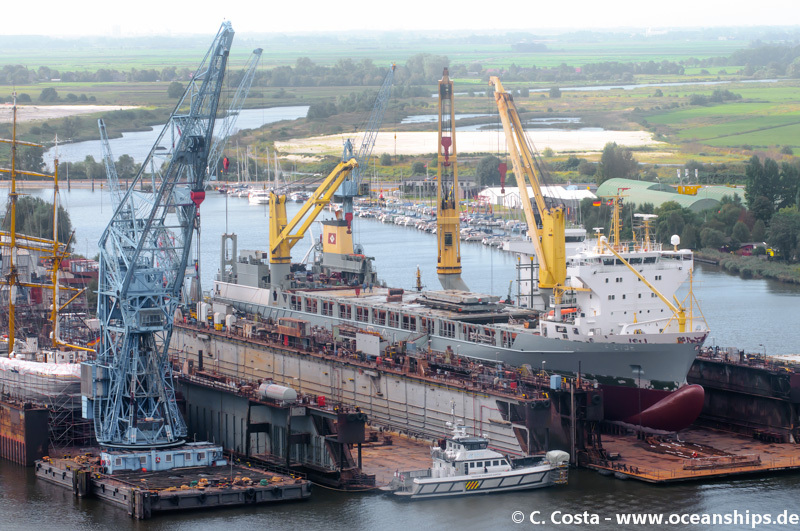 Heavy load cargo vessel Grietje is docked at Bredo yard, Bremerhaven on September 15th, 2013.